Surfing is unlike any experience in the world. Trained and certified by the American Red Cross in Professional Lifeguarding, Ocean Rescue, CPR, AED and First Aid; these actual certified lifeguards are there with you every step of the way. 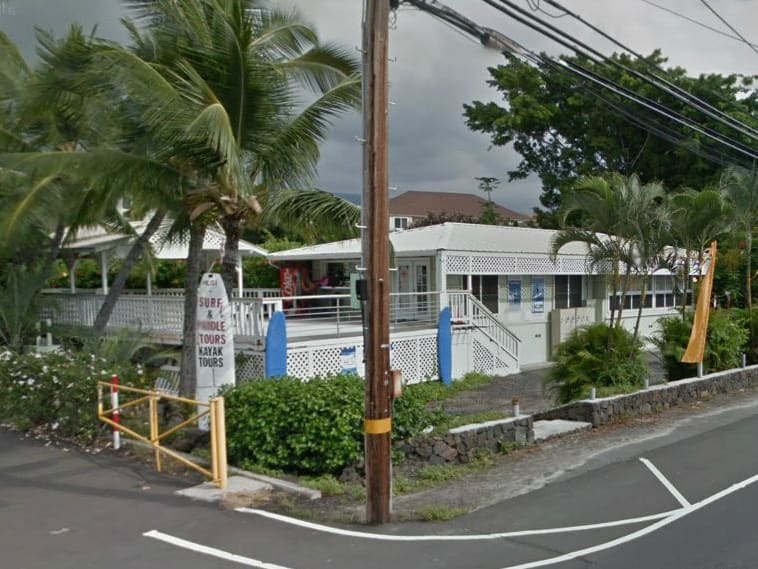 As always, safety and satisfaction are the top priority, and this family-owned surf school is dedicated to making sure you have one amazing island memory to bring home with you. A professional photographer is available during most lessons, capturing candid photos available for purchase. A private lesson just for you! Catch some waves with this 2-hour surfing lesson with a 1:1 student to lifeguard ratio to really help you hone your skills and impress friends and family back home! Recommended for experienced surfers who want to hone their skills. A private lesson for specialized training! Catch some waves with this 1:1 student to lifeguard ratio that's ideal for small kids that are just starting out. This two-hour lesson is taught tandem for focused attention. All children 3-10 years old and under 55lbs must take a Private Lesson for ocean safety. Those weighing less than 55lbs will be taught on the same surfboard as the instructor. This is a 2 hour surfing lesson with a 3:1 student to lifeguard ratio! This lesson includes 45 minutes of land time learning the skills necessary to "Hang Ten" as well as how to safely enjoy surfing before heading out into the water to catch your very own waves! After checking in at Hawaii Lifeguard Instructors Headquarters, you must drive to the surf spot location at Kahalu'u Beach Park (78-6702 Ali'i Drive), approx 10 minute drive distance. All children ages 3-10 must take a Child Private Lesson for ocean safety. All Students must be able to swim and participate in physical activity. Maximum weight limit 265 lbs. Surfers overweight restriction must upgrade to a PRIVATE SURFING LESSON for safety and one-on-one supervision. Children weighing less than 50lbs will be taught on the same surfboard as an instructor. Those weighing more than 50lbs will be on their own board side by side with the instructor. Children 11 years old and above can participate in this activity. If you are running late, be sure to contact the activity provider. Please note that after checking in at Hawaii Lifeguard Instructors Headquarters (75-5909 Ali'i Drive), you must drive to the surf spot location at Kahalu'u Beach Park (78-6702 Ali'i Drive), approx 10 minute drive distance. If you are under 55lbs and are surfing tandem, you are required to wear a life jacket. Surfboards are available in a variety of different sizes, but the 10~11 foot boards are used for the lessons. Any cancellations made after 00:00 local time, 3 business days prior to the activity will be subject to a charge of 100% of the total amount. They booked me a spot I wasn't able to book directly through the company; and at a cheaper pricer! !